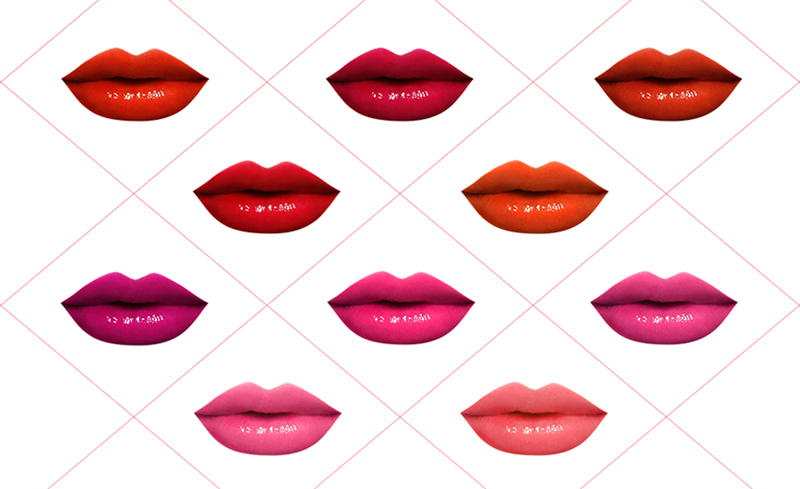 I'm a huge lover of lip products - mostly because I find them the most versatile and require the least amount of effort in looking good! After all, almost everyone will agree, the perfect lip color is more than enough to brighten up the whole face (yes, even if you choose to go without base and eye makeup!). 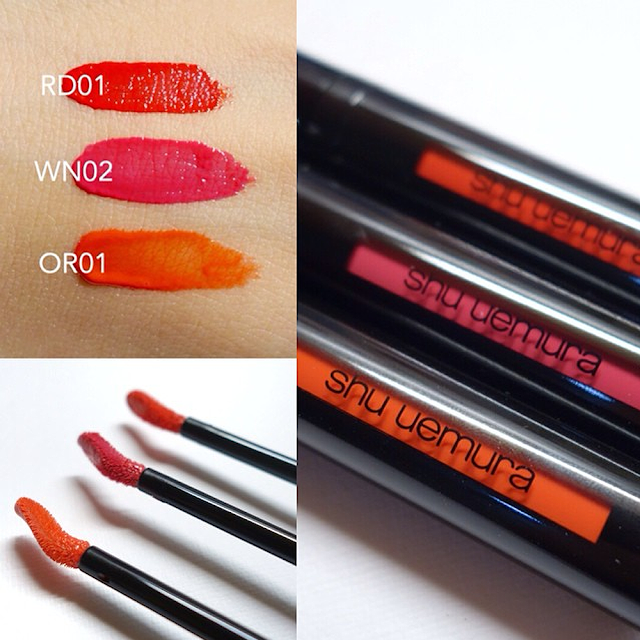 So when Shu Uemura approached me with this revolutionary lip tint/gloss all in one, I knew I just had to try it out. I have heard tons of raves whilst in the beauty industry myself, and now I can finally join along in advocating this masterpiece! The Lacque Supreme is a collaboration between Shu Atelier and Yamada Heiando, a famous lacquerware provider to the Imperial Household of Japan. Inspired by the premium Japanese lacquerware, the Lacque Supreme aims to bring out the unique characteristics of the Japanese term of "Urushi", derived from the terms "Uruwashii" and "Urusou" which mean beautiful, moist and luxurious. Combining highly intense color and brilliant shine, the Lacque Supreme hopes to let every individual express their unique characters with 15 statement shades (5 Limited Edition ones and 10 Permanent Ones). This is just a glimpse of the many colors available. You can always see more colors HERE with their brilliant swatches. The 5 Limited Edition colors are RD02, PK03, BG01, BG03, and WN01. Personally, I went with RD01, OR01 and WN02! I didn't choose the LE colors because I wanted colors that were more me. 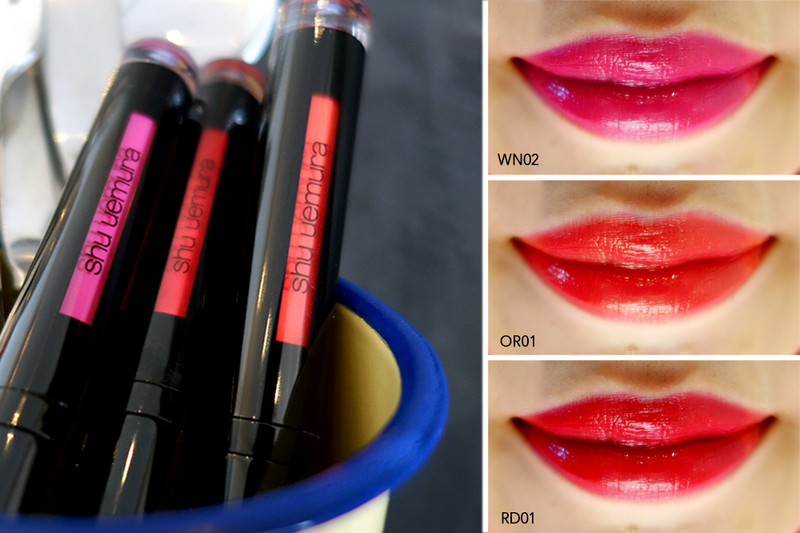 I do have many lip colors, but staples are always the most important! Unless you're a collector who really MUST have the LE versions, choosing a color that is an everyday choice would be great, especially when it comes to this particular product. Why do I say that? Because the texture is unbelievably amazing and comfortable enough for everyday wear. I say this as someone with dry lips and a huge penchant for licking/chewing on them whenever I'm stressed at work. 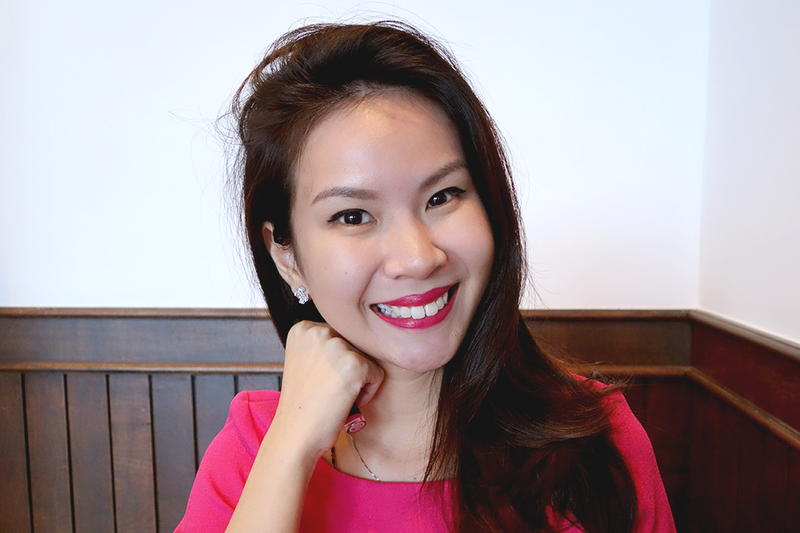 The color is VERY INTENSE and yet does not come off onto my teeth, it doesn't easily fade off despite the constant lip-biting and still feels moisturized without the need for a lip balm! When you first apply this, you will smell a fragrance. I won't say it's ovewhelming or something you'd be very bothered by. Once it sinks in, you will hardly to never notice. Since this product promised to ADHERE to my lips, I was anticipating a very viscous and somewhat dry texture. However, the product was smooth, almost watery and was EXTREMELY easy to apply. I didn't have to drag it across my lips nor did I have a lot of trouble getting it to fill in my cupids bow thanks to the applicator which has a unique ergonomic shape that fits the curve of my lips for thin, even, and precise contouring. I could eat, drink and be merry without much care about the color feathering out into a hideous lipliner look because it faded ever so gradually and evenly. At the same time, it never completely went away so a lovely shade of color always remained on my lips. That being said though, my ONLY gripe about this is that it is end of the day, rather glossy; as I'm not a huge gloss lover (cue wind blowing and hair sticking onto lips), this bothered me a little. Not too much though because I could always wait it out for a minute or two, dap off the excess gloss with a tissue and head out with a more matte finish. I have been officially won over by this amazing product and it is something I throw into my bag whenever I head out even when I'm barefaced. JUST IN CASE I have a last minute dinner to attend or someone to meet, I know a quick swipe of this is more than enough to make me look fresh and awake. For those wondering if it could double up as a blush, I suppose a quick tiny dab of it on the cheeks will work but due to the glossiness, it might not be too suitable for those with oilier skins. Perhaps for those with dry/normal skins, this could work out with a sweep of loose powder over. It's quite a significant amount in the tube and for just SGD $40, I say this is an investment you should definitely make. 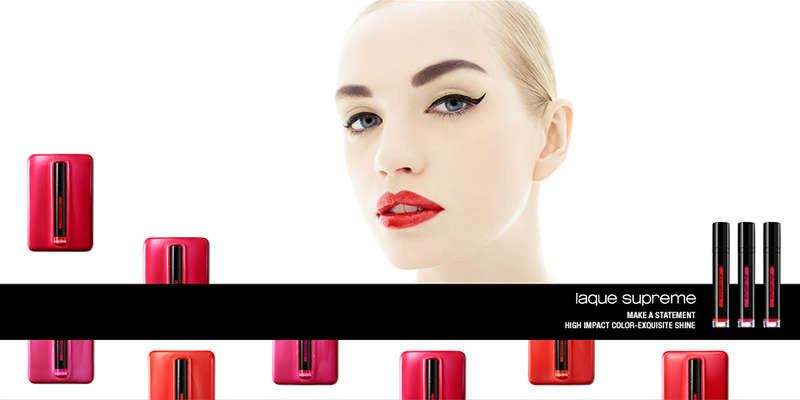 Simply head down to any Shu Uemura counter to try on what suits you best. Stay beautiful babes!